There is something very exciting when witnessing the emergence of a new artist on the rise. Watching them introduce their talents to the world is both a powerful and indicative feeling as you know this very moment could alter the course of their lives forever. 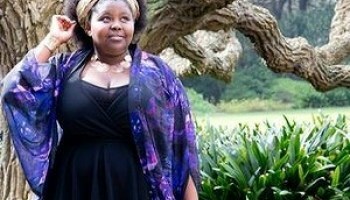 Truth in part can be said for new artist Thando Sikwila, the brilliant singer/ songwriter from Melbourne, who is set to turn the tables of new soul in Australia. 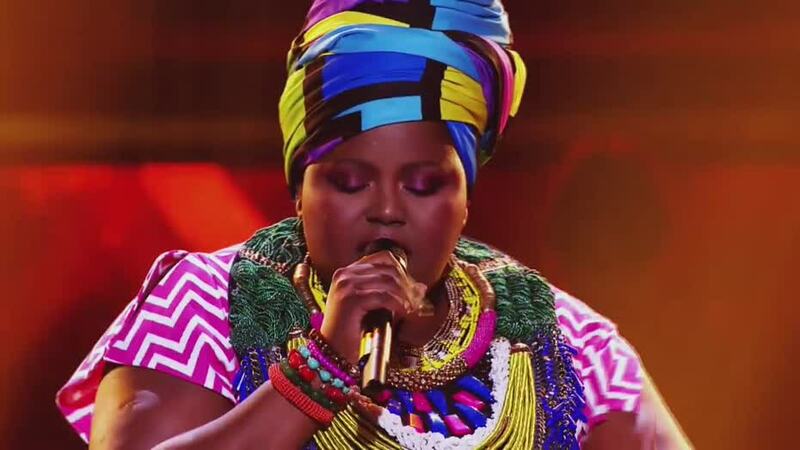 Capturing the nation on Australia’s “The Voice” music contest in 2014 as a Top 24 contender on Team Kylie and then Team Ricky, Thando’s star was born and the emergence of a stunning new vocal beauty transcended upon our soul community. 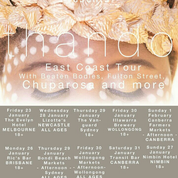 Confident and resplendent of her Voice experience, Thando went on to perform for audiences at local and national events including half-time entertainment at the Melbourne United basketball game to the Afro Australian Music and Movie Awards, securing herself as a performer to watch. 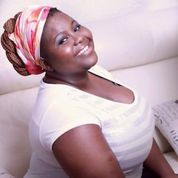 Thando is the complete package comprising of a stunning and regal beauty thanks to her rich and gracious Zimbabwean heritage, a voice that is both soothing and empowering and a talent for evocative song writing that has placed her in a league all her own. With the recent release of her debut single “WYBM” (Wont You Be Mine), this ambient and haunting track of unrequited love leaves the listener breathless at her flawless delivery set to a background of smooth and effortless electro soul. With a release of this quality from an independent artist this new to the game, it is safe to say that Thando has indeed arrived! Hi Thando – Happy New Year! How has 2015 started off for you? Thank you! Happy New Year to yourself. This New Year has been very busy. Getting out of holiday mode is not easy when your other half is still partying. Blessings to you on the rise of your musical journey – how did it all begin for you and what is your musical background? I’ve always enjoyed singing, even just for leisure. I only really started pursuing it when I started high school. One of my peers heard me sing and the rest started to fall into place. In a short amount of time, I was singing the National Anthem at every assembly all throughout high school and college (college is year 11 and 12 in Canberra), and started writing my own songs shortly afterwards. 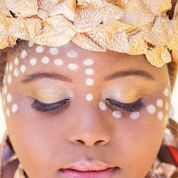 You are a proud African Australian with a fierce and beautiful style – how would you best describe your sound and what would you say is your greatest influence when it comes to your style? My sound is still being defined at this point; my debut release ‘Inferno’ was a good starting point as an R&B/Rock tune and the approach I take to song writing has definitely evolved. I’ve been taking more calculated risks to try something different because I like to stay on my toes. I always try to find a way visually incorporate my Zimbabwean roots into my style mantra. I love wearing over the top outfits, colourful accessories and my head wraps. What are your perceptions on Australia’s soul music community and what do you hope and foresee your role as being in this industry one day? Australia is rich with local talent that are absolutely killing the soul scene. The challenging thing with that as well is I’ve needed to find a point of difference and to find that “oomph” that makes me stand out from the rest. It all comes down to the branding, the music and the image. I hope one day to inspire aspiring artists the way Australia’s own have inspired me. I’ve been obsessed with Australian bands like Hiatus Kaiyote and Ngaiire is a huge one for me. It’s great to have so much in my own backyard, I don’t need to go overseas to experience soul music at its best. Without a doubt, Jill Scott. I can’t fault her in any way- she’s a powerful singer, a mother, a lover, a poet. All the things I hope to one day become, but in Thando’s way. Her way with words is unbelievable, how she can be describing the most intimate interaction you can have with another person but make it sound so innocent… I want to be able to move people like that. What are you currently working on right now – future singles, EP’s etc.? I’m currently recording my debut EP ‘Digital Love Letters’, but right this moment I’m so excited to be releasing the first single ‘WYBM’. We’ve taken an electronic direction with this single, so you can expect lots of synths, sub base and processed vocals but still very soulful. The EP is a collection of different tracks with hip hop and R&B influences, there are some interludes, there may or may not be some spoken word but I’m very excited to share once it’s finished. Where can we find Thando online? I have a website where you can find all things music, and www.thando.com.au, otherwise the usual Facebook, Twitter and Instagram and those links are all on my website. ← From Memoirs to Film, J Dilla to Maya Angelou, MK Asante Jr is Some Kind of Wonderful!